Are you looking to save big with coupon codes? One problem you’ll undoubtedly run into is the timing factor. Here are a few tips to get you started. Retailers are always releasing a lot of deals at the end of the month or the beginning of the new month. It’s a great time to check in and see if there are any deals worth taking advantage of. Some coupons are valid for the whole month. But, sometimes manufacturers only make coupons available and valid for a few days. 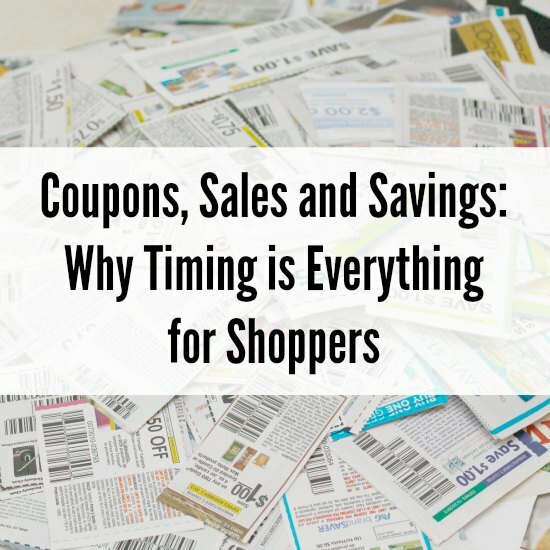 Large discounts are usually released for shorter periods of time. So, if you’re not in any kind of hurry, you can stay on the lookout for offers as they come in. Check Monday or Tuesday. Some stores will come out with new specials or promotions on Sunday, and they will run through to Saturday. But, if the deal is really good, you’ll want to jump on it because many stores sell out over the weekend. If you’re not finding anything you like on Saturday or Sunday, try Thursday or Friday for deals that are coming out in time for the weekend. Usually weekly specials are common for grocery stores and small deals like “2 for 1” specials at your favorite store. Huge savings happen seasonally and during the holidays. For example, you can usually save up to 20 to 40 percent off retail merchandise if you’re willing to buy Christmas gifts in November. And, online deals can be even better. You could use a Paytm promo code, for instance, to save big on a variety of merchandise and get free shipping, 50 percent off, or a combination of different deals. Thanksgiving is obviously known for the Black Friday event that follows, and Cyber Monday, but seasonal sales happen every quarter. So, for “back to school” types, you can pick up deals in the fall before school starts. In the spring, many clothing retailers again offer sales and promotions. And, don’t forget about the other holidays. Retailers love Valentine’s Day, Easter, Memorial Day, Veteran’s Day, Labor Day, and Halloween. Each season brings with it unique quirks in sales and promotional offers. For example, spring and fall tend to be the best times to buy clothing. Summer is a great time to buy specifically beachwear and summer clothes, while winter tends to be good for winter gear and clearance fall items. Speaking of Halloween, October is a great month for discounts. Specifically, look to the end of August and the end of October for the best deals. These tend to be times when retailers are trying to clean out stock and gear up for Christmas. At the end of August, the higher number of coupon codes are partially due to the back-to-school and final summer clearances, with October being a great opportunity for retailers to mop up on Halloween and early Christmas shoppers. Luke Ingram has always been careful with his money, but with 3 kids under the age of 6 he is now even more careful to stretch those cents as far as possible. He shares his savings tips online for a growing number of parenting, personal finance and lifestyle blogs. After looking into a number of the blog articles on your web site, I honestly like your technique of blogging. I saved it to my bookmark site list and will be checking back soon. Please visit my web site Foodpanda Coupons Cashback offers as well and let me know how you feel.